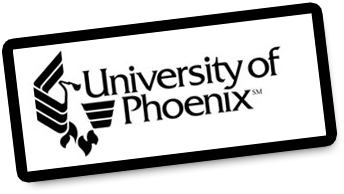 As the leading online school in the nation, Phoneix University offers various pharmacology online courses to take in your own time. 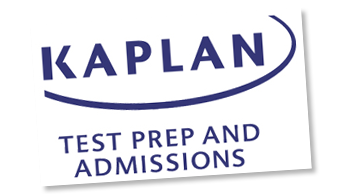 One of the largest online universities with a widely recognized name, Kaplan University offers a myriad of online pharmacology courses that fit your schedule. Gamma Secretase Activating Protein: A Role in Alzheimer’s disease? In the field of Alzheimer?? ?s research, there was a recent setback when a drug being tested by Eli Lilly (Semagacestat) seemed to do more harm than good and the clinical trials were discontinued. Semagacestat was targeting a particular enzyme involved in the production of beta amyloid called gamma secretase. Researchers described this drug as acting like a ???sledgehammer??? because it completely stopped the function of this enzyme, which was important in a number of other reactions. The researchers believe that the subsequent adverse effects patients experienced following a Semagacestat was due to the lack of these important functions. Within days of Eli Lily?? ?s announcement, another more promising study was published in the September 2010 issue of the prestigious scientific journalNature. The senior author of this study, Dr. Paul Greengard (Nobel Laureate, 2000), discovered a new protein that he calls gamma secretase activating protein. According to this study, this new protein instructs the enzyme gamma secretase to produce beta amyloid. What makes this finding more important is that gamma secretase activating protein does not appear to be involved in any other function. Thus, if research is successful in targeting only the gamma secretase activating protein, then the adverse effects produced by other drugs such as Semagacestat may be avoided. Interestingly, there is already a drug available that can block gamma secretase activating protein. This drug is called Gleevec and is used to treat a rare form of digestive system cancer and some types of leukemia. Unfortunately, Gleevec will not be an effective treatment for Alzheimer?? ?s disease ??? the brain seems to pump out Gleevec as soon as the drug enters the brain. Of course, as others have already suggested, Gleevec could be used as a starting point and other drugs may be created from this starting point ??? specifically, drugs that are able to enter the brain and block gamma secretase activating protein. This site gives me a lot of information on both presription and over-the-counter medicines. Not only that, I learned about the basi ingredients of popular otc drugs and their side effects.